Unquestionably, 2019 is expected to feature another battle of the sequels, as institutional investors are expected to release lots of syndicated funds into the nation’s real estate market. Olaniyi Ola reports. 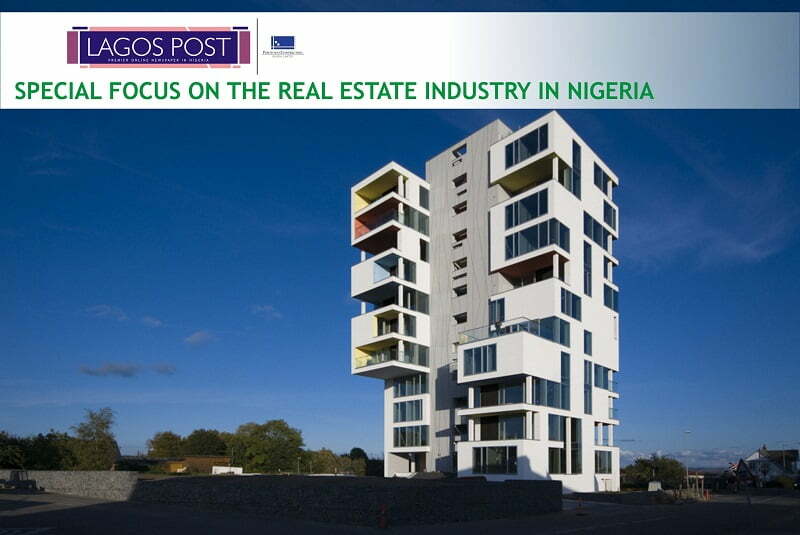 Stakeholders in the housing and construction sector, therefore, have predicted that strong demand will trigger an unusual supply for housing finance-related products from banks, primary mortgage institutions, and other financial concerns as the quest for homeownership among Nigerians surges to new levels. After beefing up the capital base of FMBN thereby providing adequate funds for it operations, real estate operators do not expect any hesitation on the part of the Federal Government to renege on its promise to inject N500 billion into the apex mortgage bank in Nigeria over the next five years in a bid to improve access to mortgage loans and home ownership for Nigerians. This is coming on the heels of the leadership aggression and innovation of the Ahmed Musa Dangiwa led management of the Bank. However, industry pundits have said that fears being expressed about corruption and embezzlement are untenable as it is the undeniable responsibility the government to institute all necessary administrative, audit and crime prevention mechanisms that will ensure the safe and effective application of the N500 billion capital injection. With regard to the funding of the secondary mortgage market, these practitioners want the Federal Government to take some drastic steps to ensure that PMIs play their intended role in providing mortgage for prospective homeowners. However, they believe that it is unrealistic to expect credit institution to issue loans at any rate of interest below the prevailing market rate of interest in an environment where there are insufficient loanable funds. “If government wishes to have the PMIs give out soft loan, it must provide the funds and guarantee the loans,” the real estate practitioners chorused. Another cross-section of housing and construction industry operatives believes that there is the need to be comprehensively designed and packaged the housing sector to achieve optimum opportunities and benefits. This group wants the Federal Government to plunge more than 80 per cent of the monies starched within the National Pension Fund into real estate in view of the fact that this is the only sector that has the capacity to get Nigeria out of its present economic imbroglio. They also said that the introduction of mortgage backed securities has predisposition to curtail corruption, as more people will own their homes. This year, industry pundits want the Federal Government to pursue an aggressive private-sector driven real estate and mortgage finance market with structural and institutional reforms as ways to enhance depth, liquidity and efficiency of the sector while the proposed housing policy reforms should entail the review of the regulatory and legal framework of institutions and practices. These operatives also advised that FMBN must be transformed into a government interventionist agency to stabilize the market and enhance investors’ confidence by government-backed guarantee. They also wants the Securities and Exchange Commission (SEC), and Nigerian Stock Exchange (NSE) to set a time frame to their policy formulation in the quest to deepen the Nigerian Capital Market as a catalyst of re-invigorated economic development and that the capital market regulations should relax quotation requirement to encourage quotations by Primary Mortgage Institutions and real estate developers. However, real estate operatives have said that priority areas in 2019 should concentrate on site and services that will create more infrastructures like access roads, electricity, water, security, school and other things. Reacting to the issue of homeownership in the country, these operators also said that the factor militating against such is mortgage finance. They added that it is not a problem that can be solved overnight but serious attention should be given to it in 2019. The Federal Government has also been enjoined by housing and construction industry operatives to provide an enabling environment for property developers to source for funds that would enable them build low-income houses for the working class members of the society. They said that the development would go a long way to enhance effective housing delivery. They regretted that most of the houses being built by private property developers were mainly for the top class members of the society. They expressed optimism that the housing sector would witness a boom in 2019 and added that more houses would be built as more funds are being made available to execute housing projects by respective investors. The operators explained that issue of homeownership should not be viewed as a dream that could only be realised by the rich in the society. They said that both the rich and the poor should own their houses which he described as one of the essential need of man anywhere in the world. The need to step up the application of private public partnership models for housing delivery, which involves direct engagement and mutual partnership between the government and organised private sector, has been suggested. This means that the physical construction of houses and its provisions shall be private sector driven with government creating and sustaining an enabling and operational environment. In this process, it will enhance multiple investments in real estate development. The need for various stakeholders in the road sector to become more involved in road project programming and execution has also been stressed. Reacting to the 2019 budget proposal, industry pundits say that one of the ways Nigerians will reconnect to the annual ritual of allocating resources to value chain sectors is for the Federal Government to translate figures into programmes and projects that would build capacity and impact positively on the citizenry in the areas of good road network. They said that Nigerians want the reduction expenditure on the payment of salaries, wages and other emoluments as done in the 2018 budget to reflect in the provision of vital infrastructure. “The citizens are really optimistic that government will be able to save enough to spend on building roads and develop other critical sectors,” they quickly added. As the state of the nation’s road infrastructure continues to deteriorate and some parts of the country are increasingly being cut off from the rest, Nigerians expect the allocation to works in the budget, despite the fact that it is low, to provide some form of improvement on the appalling state of road networks in the country. This move, the stakeholders noted, will promote value chain in agriculture and other cottage industries whilst opening up rural roads to promote the development of the rural agrarian communities. As part of effort to promote economic and social development in Nigeria, operators want the Federal Government to introduce new environmental management strategies for the country. They want the initiative to establish a benchmark standard in the environmental management and guide corporate social responsibility of the institutional investors and conglomerates in the Nigerian business terrain. To be known as Environmental Review System (ERS), the stakeholders canvass that it serves as the foundation for developing an environmental management system by identifying significant issues bordering on policy and performance criteria. They also want the initiative to provide avenue for regular review of the plans taking into account legislative and other changes as well as produce and publish an annual environmental review report and establish a number to relevant environmental indicators with targets to measure progress. Operators are seeking that the system should afford the opportunity to define the basic standard of good practice for all the elements of the productive sector, which will form the basis for the operators to progress successively to more comprehensive international certification systems. It will also enable the operators to consult adequately with local community on their environmental concerns. Although the national guidelines on environmental audit and environmental management systems have guided the conduct of environmental audits and the implementation of the environmental management systems in various enterprises, the highly specialised nature of the environment challenges faced by the productive sectors implies that a ‘tailor-made’ approach is needed to address the peculiar environmental issues in these areas.